Shipping goods overseas is very different to shipping items in the UK. Not only does it require the combination of ensuring goods arrive at their destination in a timely manner in one piece, they must also comply with customs regulations. That’s before you even think about security issues. For global companies, it’s paramount your overseas shipping is seamless in order to get repeat business. If goods are opened or have been tampered with during transportation, then it could cause a whole lot of headaches, including lost business. 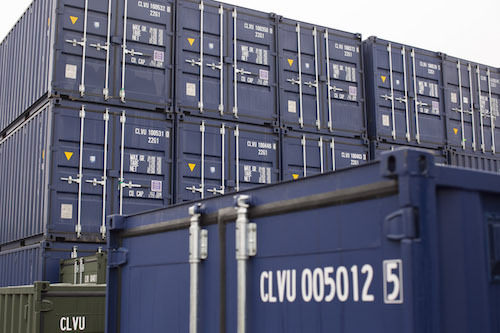 Here, Cleveland Containers discusses the top security considerations to think about when exporting your goods overseas. Before you ship your goods off, you should first check that your shipping container(s) is fit for purpose to be transported overseas. Start off by ensuring there aren’t any cracks or holes in your container, and check that doors open and close correctly. The shipping container company should have examined this beforehand, but there’s no harm in double-checking. If there’s an issue with your container – such as a hole or a crack – then it’s a whole lot easier for someone to access your goods. 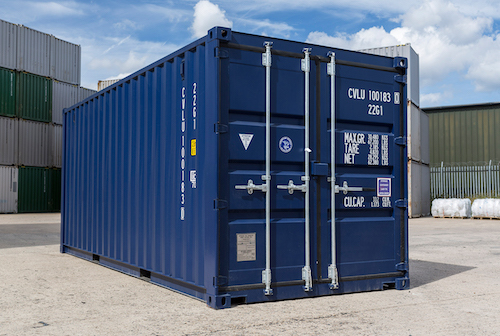 Therefore, a good security measure is to ensure your container is airtight. This goes without saying, but to help keep security tight, you should always make sure your goods are packaged up properly. Not only will it help to prevent your goods from breaking during the shipping process, it could also deter anyone from tampering with your parcel. Fragile items should be placed in double corrugated boxes, and you can use bubble wrap as an extra layer of protection. When packing goods in your shipping container, place the heaviest items on the bottom, before layering lighter items on top. Fill in any gaps to stop items from moving, or they could get damaged during the transportation process. Before you send your goods off, invest in a padlock. It’s a small price to pay for an additional layer of security. Once the goods have left your door, you’ll want to monitor them during their journey so you know where they are at any given time. Most shipping companies – like DHL or TNT – will offer tracking as standard, but this is something to check before deciding which company to use. By tracking your goods, you can monitor their progress, and see when they have safely reached their destination. Plus, if anything were to happen to your goods, it means you can alert the end destination whilst thinking of a solution. You have four options when exporting goods overseas: rail, air, road or sea. A range of factors will determine the chosen method, with time being a major factor. For perishable goods like food, they’ll need to be transported to their destination fast. The other factor that you should take into consideration, depending on where in the world your goods are being sent to, is security. Not just confined to movies, pirates are a real thing. Threatening the safety of ship workers, their main aim is stealing goods on-board, which is definitely not something you want to be involved in. Pirates are particularly active in certain areas, with half of the world’s attacks taking place in waters just off Indonesia, Singapore and Malaysia. The US Merchant Marine has predicted that piracy costs shippers somewhere in the region of $4.9 billion – $8.3 billion every single year. The Singapore Strait and the Straits of Malacca are particularly infested with pirates, so if you’re sending goods to that area, then for safety reasons you may decide to use air transportation instead. Insurance can really help to increase the security of the goods you’re transporting – especially if they are of high value. Shipping companies may provide insurance as standard, whereas others may ask for an additional fee. The terms will vary for individual companies, so it’s important to read up on them before deciding which company provides the best option. Insurance costs will vary depending on the value of your goods and their destination. However, with protection if items go missing, it’s another cost that’s worth paying for, to gain an added layer of security. Whilst you can never guarantee your goods will definitely arrive at their destination, following these measures will help to keep them as secure as possible, giving you one less thing to worry about.